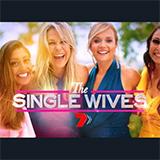 The Single Wives is a TV show on Australian national television from Seven with an average rating of 3.6 stars by TVCatchUpAustralia.com's visitors. We have 7 episodes of The Single Wives in our archive. The first episode of The Single Wives was broadcast in August, 2018. Did you miss an episode of The Single Wives but don't you wan't that to happen in the future? Please set an alarm and add The Single Wives to your favourites, so we can remind you by email when there's a new episode available to watch. Completely free: handy! The moment of truth for our four single wives as they reveal if their mission to find love again has been a success. Then one month on, what's the biggest bombshell of all? Hosted by Fifi Box. Final dates give the couples a chance to talk about big issues that threaten their futures. When the wives invite their men home to show them their world, the men find themselves under interrogation. A dinner party turns explosive as a troublesome date leaves someone shattered. Dating expert Matthew Hussey confronts one wife and she's furious. Will she leave for good? Hosted by Fifi Box. Online dating goes under the microscope and results in the world?s most awkward date. A girls? night out takes a turn for the worse when two wives meet a guy they both like. Hosted by Fifi Box. A pool party gives the girls a chance to size up each other's dates - and one wife shares a secret with her date that may end it all. 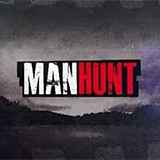 Hosted by Fifi Box, with dating expert Matthew Hussey. The Single Wives embark on their dating journey by lining up their first single dates - and at least one of them has an instant connection. 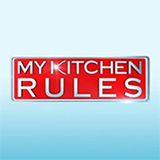 Hosted by Fifi Box, with expert advice from Matthew Hussey. A new show following four women searching for a second chance at love after heartbreak. Hosted by Fifi Box, with expert advice from Matthew Hussey, they undertake a crash-course in dating.